Hello and thank you for stopping by today. 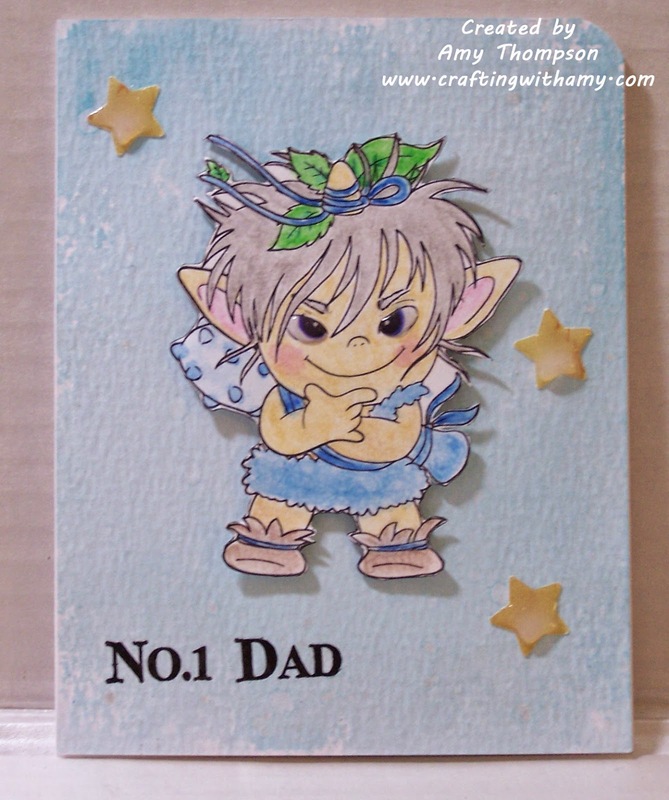 Here is a card that I made for the Online Card Classes Stretch Your Stamps 2 Day 5. For this card I used some Distress watercolor paper and Distress Ink in tumbled glass. The stamp is Toread Xeru. I colored the image using Stampin Up watercolor pencils and a watercolor brush. I punched the stars using a 5/8 in star punch and then used some glossy accents on them. I hope you enjoyed my cards and they inspired you to make something crafty.